Most modern irons have a plastic upper body and a stainless steel soleplate. The upper body often holds a water reservoir and various adjustment dials to allow for different settings. The soleplate heats to different temperatures based on those settings. Over time, all soleplates will accumulate materials that become sticky or transfer to clean clothing when you iron. The most common problem is the accumulation of starch. Cleaning the soleplate is a good idea. 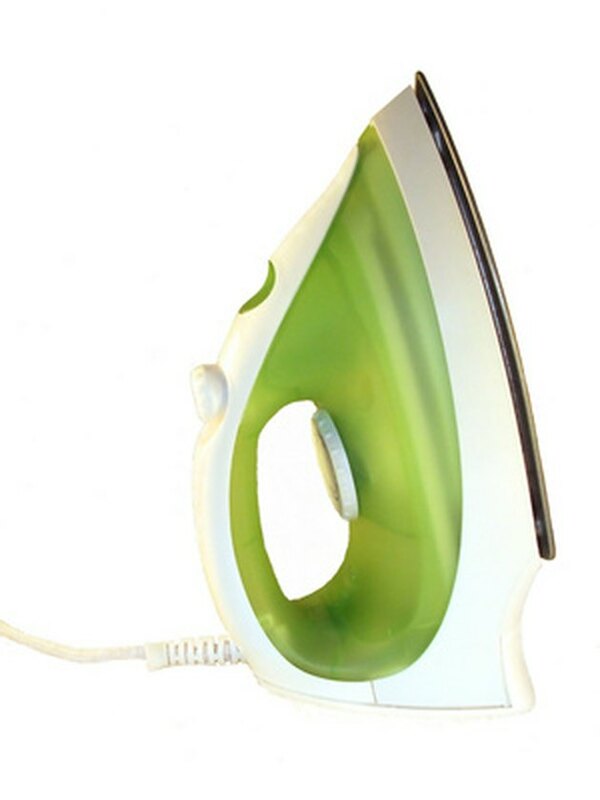 Clean your iron's soleplate when it becomes soiled. Mix half vinegar and half water in a misting bottle and mist the bottom of the soleplate after you have cleaned it with the wool. Wipe off the soleplate so that it is dry. Apply a paste to the iron if you have scorched the bottom of the iron. Allow your scorched iron to cool. Heat equal parts distilled white vinegar and salt in a saucepan and stir until the salt dissolves. Allow the mixture to cool. Pick up some of the pasty vinegar on a clean rag and scrub the bottom of the soleplate. Follow the vinegar/salt mixture with a brisk scrub with the steel wool. This should remove any burn marks, rust and heavy buildup. Mist off the bottom with vinegar/water and wipe dry. Apply a hot iron cleanser (like Faultless, available at most large department stores) to a clean absorbent rag. With a hot iron, run the iron across the rag until the cleanser dissolves or removes anything stuck to the soleplate.